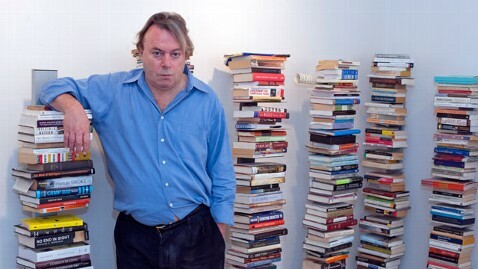 British American essayist and avowed atheist Christopher Hitchens died on Thursday, Dec. 15, at age 62, and he saw it coming. "Death is certain," he wrote in The Portable Atheist, "replacing both the siren-song of Paradise and the dread of Hell. Life on this earth, with all its mystery and beauty and pain, is then to be lived far more intensely: we stumble and get up, we are sad, confident, insecure, feel loneliness and joy and love. There is nothing more; but I want nothing more." It would be remarkable if he felt this way, that the pinnacle of existence was the experience of sensation, even pain, however intense, as he battled esophageal cancer in the months before he died with no hope or expectation to walk through the Pearly Gates. His writings-witty, fierce, wildly controversial-promoted, even demanded a rational brand of atheism that left little room for compromise. "I try to deny myself any illusions or delusions, and I think that this perhaps entitles me to try and deny the same to others, at least as long as they refuse to keep their fantasies to themselves," he wrote in his memoir, Hitch-22. "Faith is the surrender of the mind; it's the surrender of reason, it's the surrender of the only thing that makes us different from other mammals. It's our need to believe, and to surrender our skepticism and our reason, our yearning to discard that and put all our trust or faith in someone or something, that is the sinister thing to me." "Owners of dogs will have noticed that, if you provide them with food and water and shelter and affection, they will think you are god. Whereas owners of cats are compelled to realise that, if you provide them with food and water and shelter and affection, they draw the conclusion that they are gods." The Portable Atheist. To consider religion's founders, flawed humans like himself, seemed to strip the institution of its divine mystery, and Hitchens would make a career of highlighting its contradictions and hypocrisies. If he had any faith, it was in himself, his intellect, and (sometimes) ours. "Human decency is not derived from religion," he wrote in God Is Not Great. "It precedes it."